An overmantel is a section installed over the mantel of the fireplace. Most of the time, it is designed to match the stone type and style of the fireplace surround and mantel to make it look like one exquisite piece. 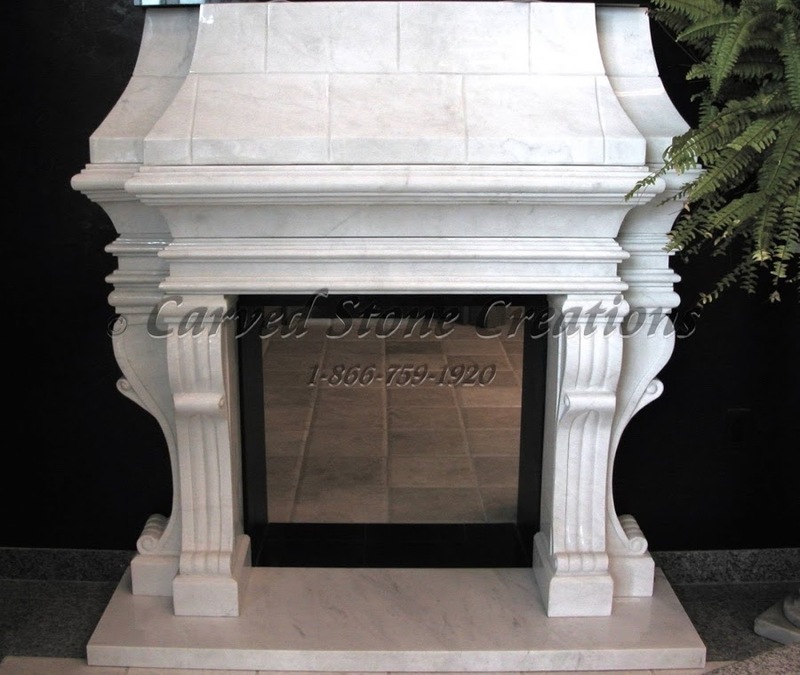 The stone overmantels (featured below) are all handcarved from natural stone. Overmantel designs can have as much or as little detail you choose. The overmantels carved details usually match the overall fireplace design. This overmantel design features a mirror set in the carved stone. Mirrors make rooms look larger, so a fireplace with a mirror centered above is great for a smaller space. 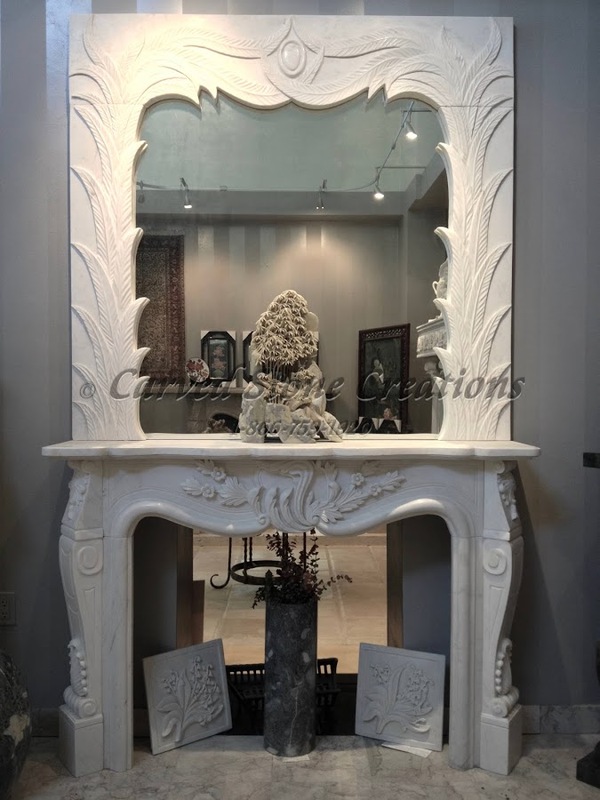 This specific overmantel design is carved from white marble and features handcarved leaves, lotus flowers and other botanical details in the stone. A tapered overmantel design starts nearly flush with the mantel and tapers up to be flat against the wall, reminiscent of a chimney. This Victorian-style fireplace and overmantel features soft scrolling details and swooping lines. Add some height to your space with a tall overmantel. Tall, two-story overmantel designs give the room a grand look. 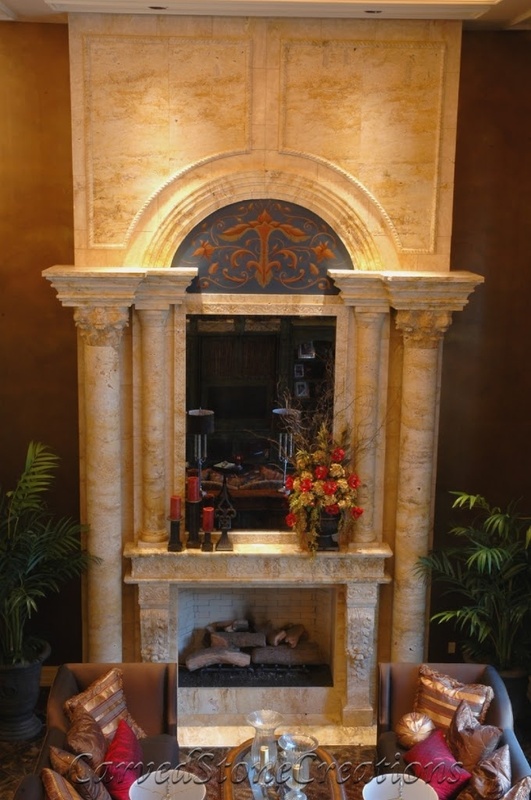 This design features columns flanking the side of the fireplace and overmantel as well as a mirror and classic details carved from travertine. As with many stone pieces, overmantel designs can have many intricate details. This design features cherubs sitting on the mantel and intricate floral designs around the border of the overmantel. Are you interested in adding a fireplace and overmantel to your home? Get started with our free fireplace design guide. Cash in on huge savings with our fireplace display close-out sale, going on now!